Love you to “The Cow” and back. In the heart of Derbyshire, The Cow has been busy preparing for this Valentine’s. Treat your special someone this Valentine’s Day to a delectable Five Course Menu that includes an array of dishes to tease your taste buds. 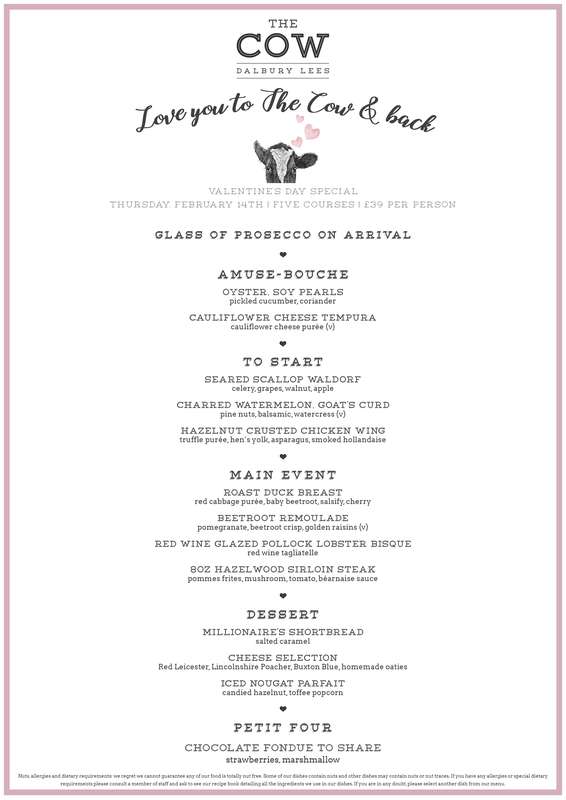 Thursday 14th February | Reservations between 6pm and 9pm | £45 per person. To reserve a table please click here. 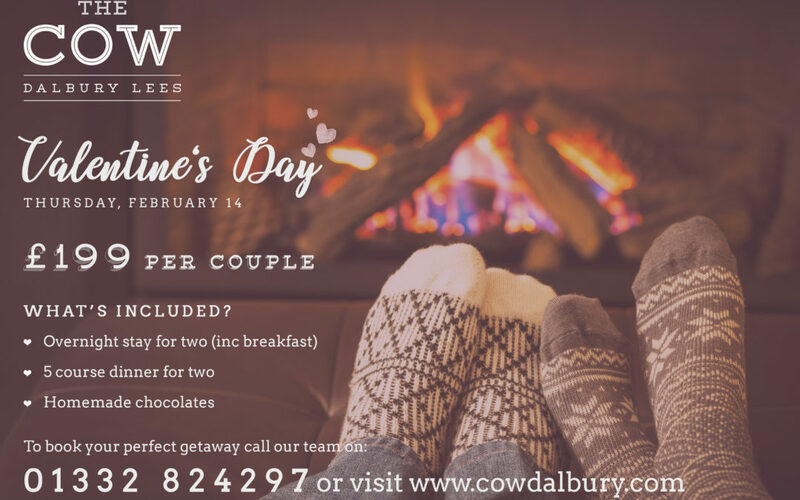 Go that extra mile and spoil a loved one by booking our special Valentine’s package. We also offer the option to add a bottle of champagne, bouquet of roses or hand tied mixed bouquet to have in your room ready for your arrival, so please let us know when making a booking to make it a truly perfect getaway. To take a look at the rooms available and to book click ‘stay with us’.